Pharmacies play an essential role in the lives of many. That’s why pharmacists constantly seek ways to leverage new technologies and better serve their customers. Artificial intelligence is just one recent innovation that may soon enhance the services pharmacies offer. Soon, we may also see them leveraging voice recognition apps that makes the process easier for both pharmacies and patients. Offering health management services — As of now, most people visit their pharmacy when they need to fill a drug prescription. 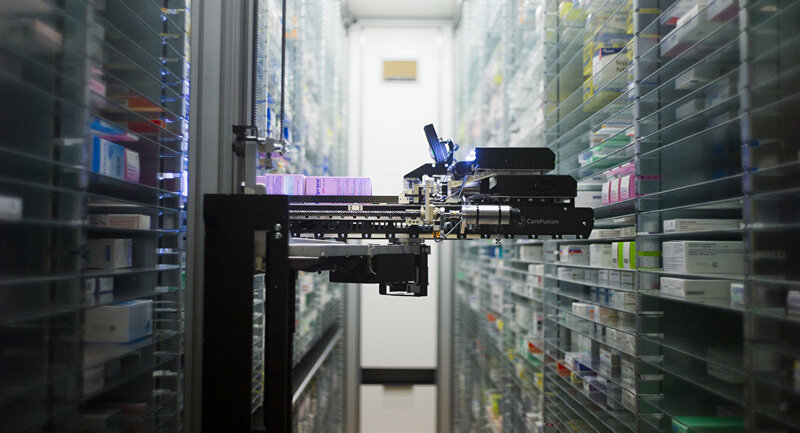 With AI, pharmacies can transform into general health management centers. AI can analyze the data of individual customers, offering them wellness recommendations based on their personal profiles. An AI-equipped pharmacist can let a customer know if they should get a screening for a particular illness and can help identify customers who haven’t received key immunizations yet. An AI program could even develop a general health plan for each individual customer. The pharmacy itself could supply products that help a customer follow the plan. It’s important to keep in mind that pharmacies already serve as the primary healthcare provider for some residents of smaller towns throughout the United States. AI can simply improve upon services customers already turn to pharmacies for. Diagnosing illnesses — Wearable technology equipped with sophisticated AI will soon be able to monitor numerous health factors in a user. By tracking everything from heart rate to speech patterns, an AI can determine if a person is exhibiting signs of illness. Also, allowing pharmacists to track this information is helpful for those who rely on pharmacies for general health services. Again, whether due to financial or geographical limitations, a significant number of people across the country rely on a local pharmacy instead of a doctor for diagnostic services. By linking an AI to a customer’s local drug store, pharmacists will be able to contact individuals who may need a consultation if the program determines they’re showing signs of illness. Developing personalized drugs — It’s not uncommon for pharmacists to fabricate customized alternatives to popular drugs when the manufactured version isn’t ideal for a customer. Sometimes the consumer needs a custom dose, sometimes they’re allergic to an ingredient, and sometimes multiple drugs need to be combined in certain ways to be most effective for a given individual. With AI, a pharmacist can more easily determine the specific needs of each customer, preparing the tailored drugs ahead of time. Like many other professionals using AI, pharmacists will come to rely on the technology to streamline key processes and boost their operational efficiency. This will benefit customers by reducing costs and boosting the speed at which a pharmacy can serve them. Those that embrace the technology early will offer individuals an unparalleled degree of care.